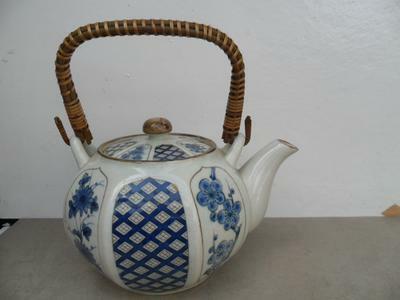 The blue and white teapot with wood handle. There is no marks on it. 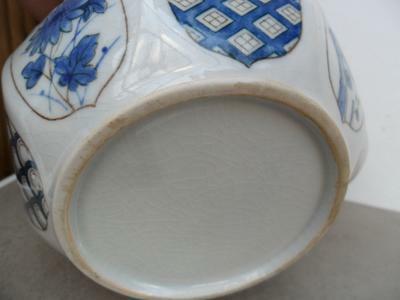 Is this Chinese or Japanese? I looks like Japanese for me.